For successful summer holidays in the mountains, book your accommodation to Peisey-Vallandry in Northern Alps massive, Savoie. This mountain resort will offer you exceptionnal areas and surprising landscapes. Your summer accommodation to Peisey-Vallandry will be for you a moment of wellness in the heart of a beautiful nature and you will spend holidays in wide open spaces. Our moutain offers will make you live warm emotions with all your family. We propose you quality holidays accommodation in all French massives, in the heart of mountains. 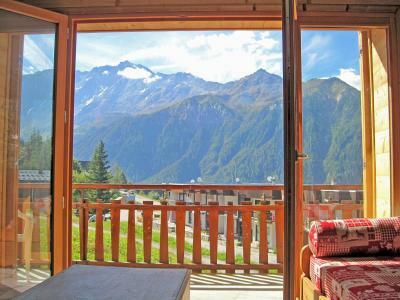 We have many residences to rent for your summer to Peisey-Vallandry. Let yourself be carried by a feeling of happiness, enjoy the summer holidays in the mountains full of sun and discoveries ! 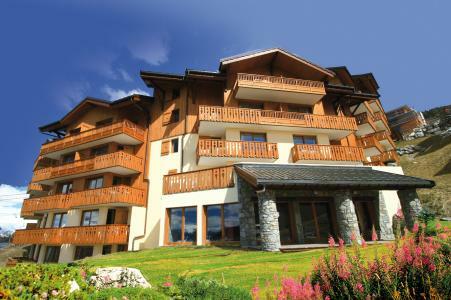 Le Park is a small 5-floor residence located in a quiet place in Plan-Peisey resort at 1650 m altitude in Les Aiguilles district. This establishment built in the 70s has a high entrance on the 3rd floor and a low entrance through the public parking. Within a radius of 200 meters you will find some shops and the resort center. This apartment residence situated at Plan-Peisey at an altitude of 1600 m, well-designed typical Savoyard architecture with a fantastic view. the residence is situated at 200 m from shops. 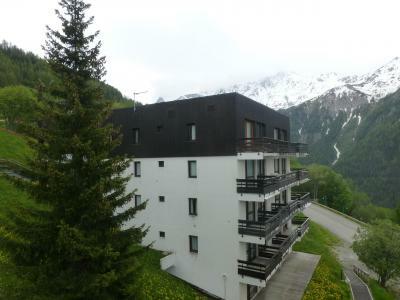 Residence "Neige et Soleil B"is composed of 4 floors without elevator, and is located in the district of Soleil in Plan-Peisey near the shops. This residence built in the 80s has an entrance at 50 meters from the road and an outside stair. South-West facades and beautiful panoramic views. Public parking at 100 meters, depending on availability. 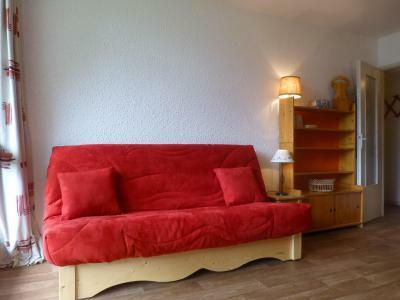 Independent chalet with open fireplace situated nearby Plan Peisey center, at about 800 m from Vallandry. 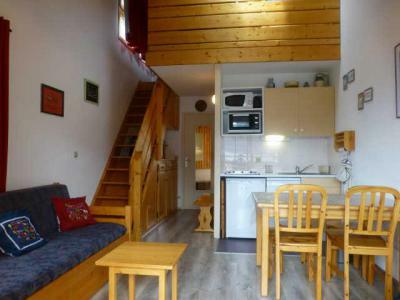 Distance to the cable car Vanoise-Express liking to La Plagne and to the 4 seater express chair lift of Peisey about 150 m. The cosy living/dining-room with lounge and open fireplace is located on the upper floor. Very good equipped, modern open kitchen. On the same floor is a double room. Another double room and a 4-bedroom (bunk bed and two single beds) are located on the ground floor. A steep flight of stairs leads from each of these rooms to the first floor. The double room has its own access from the outside. There is another 4-bedroom (bunk bed and double bed settee) on the ground floor which has an outdoor connection to all other rooms. Each of the four bedrooms has its private en-suite bathroom, with shower and wash basin. 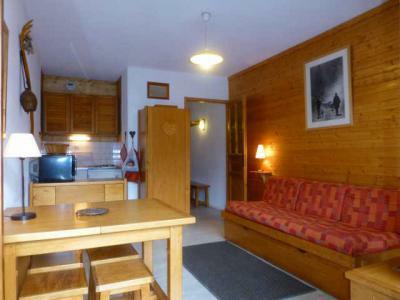 The chalet Pierra Menta is most suitable for 8 to 10 persons. Best situation in the upper part of Plan Peisey. 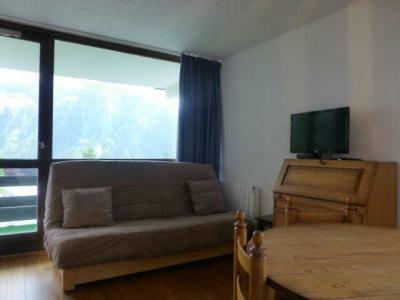 Distance to restaurants, bar (free W-LAN internet), grocery shop, bakery, sport shops approx. 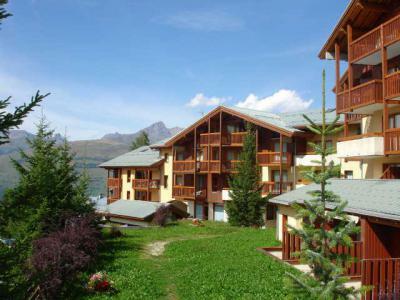 50-200 m.
Residence Plein Sud is located in a quiet place in Plan Peisey resort, at 1650 m altitude in the district of Les Aiguilles. This establishment built in the 70s has 6 floors without elevator. The building has an outside access stair (about twenty steps) and has a high entrance on the 3rd floor and a low entrance from the public car park. SThe resort center and the shops are 300 meters away. The Residence Les Arandelières is located at Plan Peisey. It is 500 m from the forest. You can enjoy hiking departures on Adret side. The Residence Neige et Soleil A, is in the Plan-Peisey area of Peisey. The residence is south-west facing with panoramic views of the surrounding mountains. 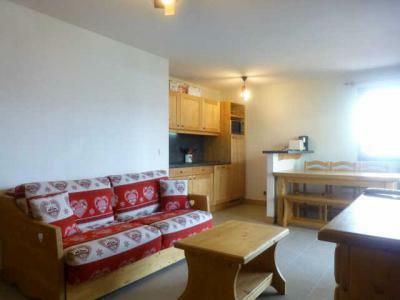 There is public parking and shops near by and the ski slopes and ski school are just 200 m away. The residence Pierra Menta is located in Plan Peisey. You will found the shops and resort center 200 m from the accomodations. Residence Belvedere is situated in Les Aiguilles disctrict at 1650 m altitude in Plan-Peisey. This district was built in tje 60's-70's, it consists of small buildings with flat roofs or butterfly shape. The accommodations are panoramic and oriented from South-East to South-West. In a radius of 100 meters you will find the resort center and shops. Residence Les Cordettes, built in 2012, is located at the entrance of Plan Peisey with all shops nearby. The building has an elevator and 2 entrances. Public parking in front of the residence. The accommodations are facing West with a very panoramic view.